How to transfer picture to wood: the process explained in 6 steps! Want to create your own works of art? Want to also save money? Then you're in luck. 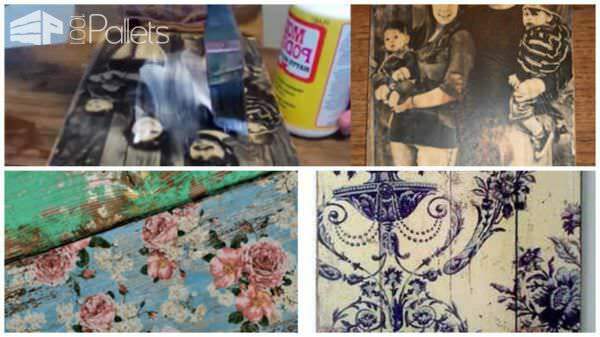 In this article, you'll learn how to transfer vintage wallpaper, pictures and almost anything on wood! You can create your own beautiful artwork such as this piece by Diego Tirigall. See more examples of work at Diego Tirigall website. 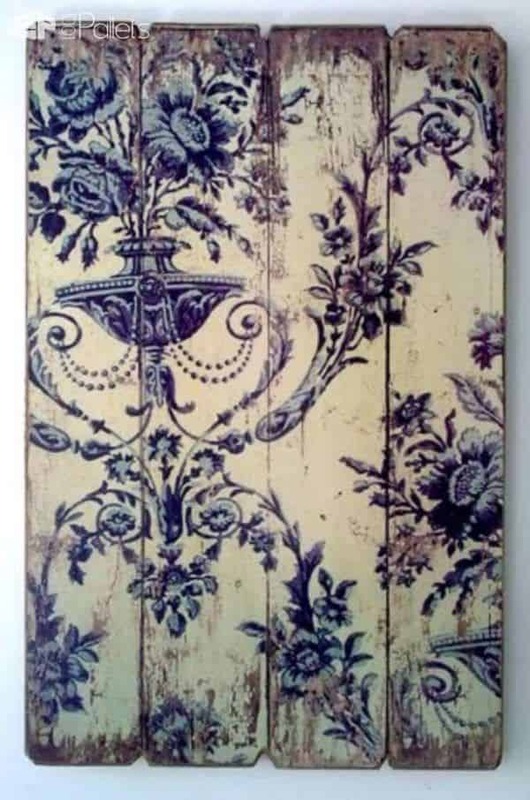 You can basically transfer anything on wood, from photographs to wallpaper pattern. It's something anyone can do, and you can achieve a beautiful beautiful result! Acrylic gel medium (such as Mod Podge): The beauty of this technique lies in the nature of the acrylic - you can adjust and modify the gel to suit your needs. Whether using a retarder to increase smoothness, mixing in acrylic pigment, or even mixing in other materials. I've seen everything from gold flake to sand mixed into the acrylic gel. An image to transfer. Print a photo out with a laser or inkjet print on regular paper (NOT photo paper). If your photo has any words on it, you will need to print it out as a mirror image. Note: Laser images transfer better. Inkjet images may or may not transfer as well - they may come out more faded. Always test on a scrap piece of wood first. First, you have to lightly sand the face of the wood with a sanding block or any sander, and then sweep off the wood dust. See our wood sanding tips. Paint a thin layer of gel medium over the entire front surface of the wood with a bristled brush if you want your photo transfer to look more rustic. If you want a more polished and complete photo transfer, paint gel medium on with a foam brush instead. 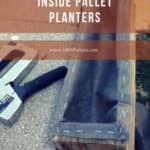 See our helpful info on wood pallet painting. I would like to transfer some soft crayon drawings to a wooden table top. They are drawn on plain paper ( a little thicker paper than regular but still plain paper). Would this technique work for me? The picture of old wallpaper comes on over and over but I haven’t seen anyone explain how it is done? It looks like old wood? Hi! Thanks for the Great tutorial! I made a jewelry hanger using it and it turned out great! For my next project, would it be ok to use wrapping paper or will it not transfer? We’d love it if you do a project and video it. The more times we get people to try and share their experience, the better our site gets for everyone! Thanks for sharing your info.! -H.S. ThankYou for this information more directly & simply stated! I get it now & will try it out :) ! My attempt did come out so well. However, my picture was not of good quality. It barely shows ink on my preferred surface for this project. The surface I know I want to use this process on in the future worked better, but still not good enough for what I wish to do. I only have until Sunday to complete this. How do i get a copy of patterns on pinterest?…im not good with all this technology..lol. But i REALLY want to do this.. Also it is hard to find wallpaper and should it NOT be prepasted? Hi Tammy. I’m new to this whole process. Is the polycrylic water base you are referring to to seal your finished piece the same as the polycrylic you use as your transfer medium? Hi Tammy, I guess there are a huge number of variables so when you read all the instructions but it comes out lamer than a 1 legged camel with rickets it’s nice to have a forum to try and nail down where it went wrong… For instance you say LASERPRINTER in BIG LETTERS so I assume this must be IMPORTANT but in the intructions it says inkjet or laser print. I used inkjet and it didn’t work so perhaps this was the issue… thanks for the useful tip you begrudingly gave up….. I really love this look and Ihave tried to transfer scrap booking paper on 3 different pieces of wood per your instructions and it not only left a white film but it didn’t transfer the pattern. I really would like to know how to do this successfully. I did the transfer to wood and I am seeing bits of paper still. Afraid to keep wetting and wiping cuz it seems like the color is blending. I can’t tell if I’m wiping the paper away or the image. I used exactly what was used in the video …gel medium . I have them drying so I’m wondering should I wet them again tomorrow or just try and brush off the bits of paper before doing the finish? Thanks for any advice. If using scrapbook paper, do you lay the image side face down? I used normal paper and matte acrylic gel medium – could you advise on a good gel medium to use? I posted my spectacular failings in your forum, perhaps you could have a look and advise as to where you think it all went wrong? Any advice greatly appreciated – I really want to be able to this! ps I used an ink jet print – maybe it should be a lser print? Hi Suzanne, Just look on Pinterest for all patterns!  How do people make 20×30 pallets? Regular Copy Paper-even Ledger size isn’t 20×30. Thanks! For doing wallpaper, do i make a copy of the wallpaper or use the actual wallpaper??? You have to use a copy on a normal paper! I just tried doing some old wallpaper. It doesn’t look like it’s going to work. I just removed as much paper from the back that I could and I have a white paper film. Maybe when it dries I will see the paper. I have 2 questions, what acrylic gel ? I used mod podge for base coat, is that wrong? My 2nd question, my wallpaper was prepasted, does that make a difference? You have to use a pattern on a normal paper. Do NOT use the wallpaper directly!!! The video helped, if anyone else has this issue that last layer of pod podge brightened the color. Love this tutorial! I’m not sure I understood correctly. At first it says to use regular paper, not photo paper. Then it says next day to use sopping wet cloth to remove photo paper back. Do you think this would work with the pattern from scrapbook paper? I have an image from a poster I’d like to transfer, so has anyone tried using poster paper? Will this work on any wood? And painted wood? I never tried on painted wood… I cannot say..however, I think this can work on all type of woods. Would it work to transfer an image to MDF (medium density fiberboard)? I tried this just as you explained, with plain paper, NOT photo paper and it did not work. The image came off. In the materials list, you say do not use photo paper; however, in the instructions, you use the term “photo paper.” I’m confused. Hi Melinda, sorry for the confusion… you were right not to use photo paper, a picture printed on a normal paper is fine. I think the problem may come from your acrylic gel ? Did the transfer work but then it did not last or it did not work at all ? I love these transfers did you do all of them? Thanks for posting this! My daughter really wants to decorate her room using rustic inspired decorations. 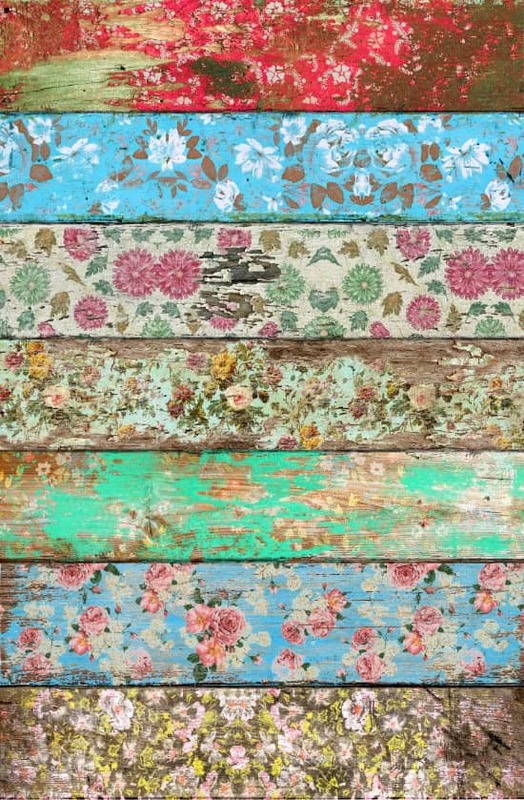 She loves the look of old wall paper and reclaimed wood. The idea of combining wall paper with reclaimed wood is genius. 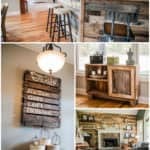 I’m sure that she would love using some wall paper that she’s found to decoupage to wooden pallets to create some awesome decorations to hang up in her room. Anybody knows how to do it please ? ?? 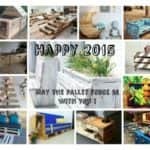 We are always making things from pallets!!! Addicted!!! I like this idea!